The jewel of the crown! 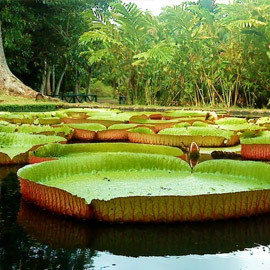 The gardens are known to naturalists throughout the world for their countless species of indigenous and exotic plants, including the giant Victorial Regia water lilies, and the talipot palm, said to flower once every sixty years and then die. The garden was created by Pierre Poivre in 1767 in the Estate of the French Governor Mahe de Labourdonnais. The latter's Chateau de Mon Plaisir, built in 1735, can still be seen there. 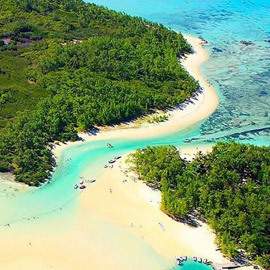 Ile Aux Cerfs and Ilot Mangénie are famous for their sandy beaches, beautiful lagoon and big selection of activities and facilities; restaurants, water sport activities, snorkeling amongst others. 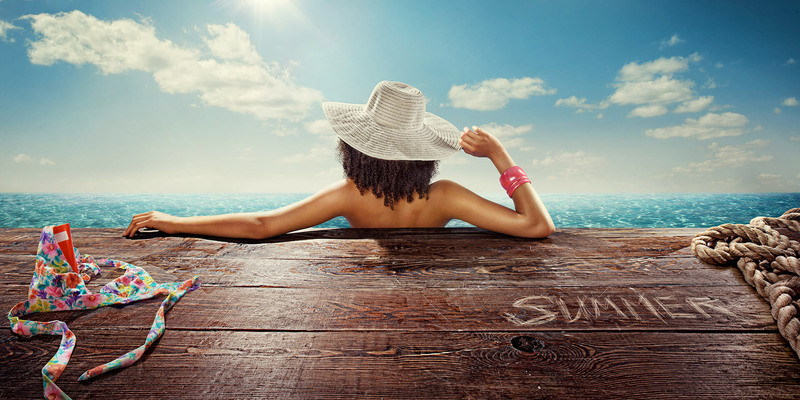 In Ile Aux Cerfs you are sure to have a day of relaxation and fun on one of the picture-postcard beaches, and to enjoy a swim. 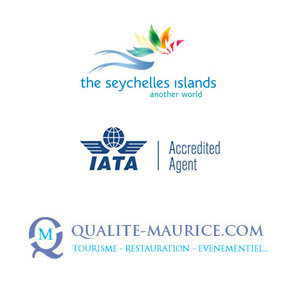 Boat facilities to access the island can be obtained from Trou d'eau Douce and Blue bay. 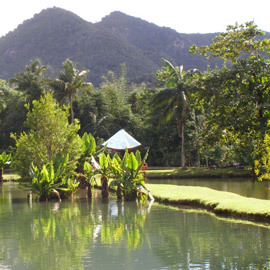 Ten minutes south of Port-Louis lies the nature park of Domaine Les Pailles, stretching over 3,000 acres at the foot of the Moka mountain range. 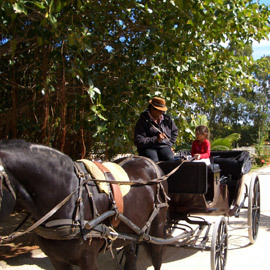 You can choose between touring the park in a Land-Rover, riding in a horse-drawn carriage or in a train. 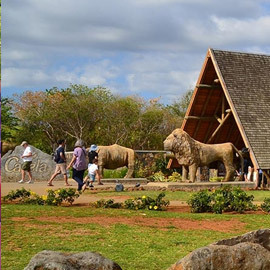 The gardens also feature a replica of an ancient sugarmill, an "alambic" - an apparatus formerly used in distilling rum, a spice garden and a natural spring. 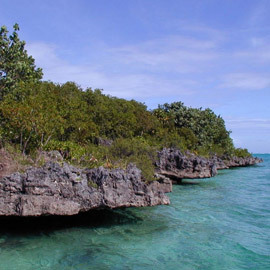 Situated between Pointe-aux-Piments and Trou-aux-Biches, hosts some 200 species of indigenous fish, invertebrates, corals and sponges, providing the visitor with a unique opportunity of admiring the fauna and flora of the Indian Ocean. 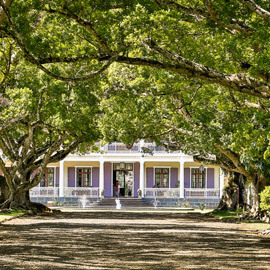 Situated in the south-east of the island, near Mahebourg, in the heart of abundant greenery, Le Domaine du Chasseur covers about 1,950 acres. 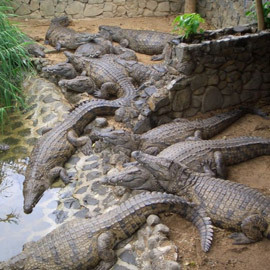 It is also an exciting natural hunting ground with its herds of some 1,000 deer and hundreds of wild boar. Lovers of leafy walks can chose between 5 and 15 kms long, allowing them to admire rare kinds of trees and protected species, such as the famous windhover kestrel. 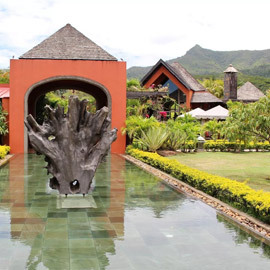 A panoramic restaurant with a very good typically Mauritian menu completes the attractions of this unusual trip, which has become a must for hunters, walkers and... gourmets. Chateau de Labourdonnais: Privately-owned colonial house dated circa 1850, down the road from Belle-Vue Mauricia to Forbach, Goodlands. Chateau Bel-Ombre: Private property, dated 1776, part of the Bel-Ombre Sugar Estate, in the south-west coast of the island. Chateau de Mon-Plaisir: Built in 1735 by Mahe de Labourdonnais and around which the Pamplemousses gardens were created. Chateau du Reduit: Built in 1778, actual residence of the President of the Republic of Mauritius, situated in the Reduit area. Can be visited once a year. Chateau de Villebague: Built in 1740, house of Mahe de Labourdonnais. Now private property, on the road through La Nicoliere and to Grande Rosalie. Eureka: Colonial house built in 1830 at Moka, on the road from Port-Louis to Curepipe through Montagne-Ory. Now a museum. Riche-en-Eau: Colonial house, part of the Riche-en-Eau Sugar Estate. This is where the TV series "Paul & Virgine" was shot. Now a private property. Situated on the road to Mahebourg through Deux-Bras. Discover Ile aux Aigrettes, a Nature Reserve anchored at about 800 meters off the south east coast of Mauritius. The sparkling waters of its beautiful lagoon, the ruins of an old French limekiln and the dense green canopy of the island's forest welcome you to this charming domain where the mistress of the place is none but mother nature.Iles aux Aigrettes is an Eco-Tourism place, with the rules followed as per the international principles of ecotourism. 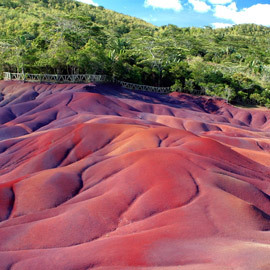 The island is a sanctuary of animal and plant species unique to Mauritius and found nowhere else in the world, an adventure of discovery of what Mauritius was like before man arrived. The Rhumerie de Chamarel Distillery welcomes visitors for an all-encompassing tourism experience ranging from a guided visit of the distillery and rum tasting to a tasty meal at L'Alchimiste, its own stylish and creative 'A la Carte' restaurant.The highlight of the whole process for the rum making at Rhumerie de Chamarel is to ensure a High Quality 'Eco-Friendly' agricultural Rum. From the growing, harvest, fermentation and sophisticated distilling process, all is done so that the distillery can pride itself on the quality of its rum, achieved by distilling the fresh, fermented cane juice rather than that obtained from molasses. 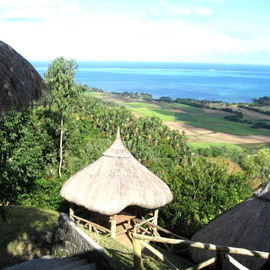 La Vallée de Ferney shelters one of the very last nature sanctuaries on the island. 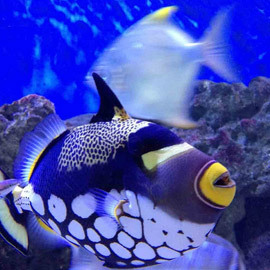 It provides an unhoped-for safe haven to a great variety of indigenous species, many of which are rare or threatened. 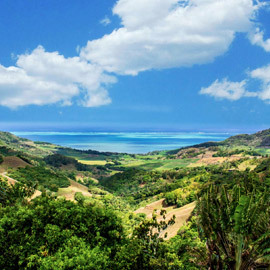 La Vallée de Ferney is not only a reference among eco-tourism sites but, above all, a 200-hectare reserve where ambitious projects to restore the flora and fauna of Mauritius are being conducted. Exploring La Vallée de Ferney means more than just to take a ramble; it provides an unforgettable experience in a unique place, where the pleasures of hiking are associated with environment protection. 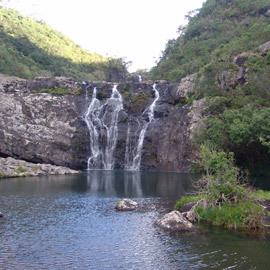 Furthermore by visiting La Vallée de Ferney, you are actively contributing to the preservation of the biodiversity of Mauritius, one of the most threatened in the world. It is the only surviving remnant of an immigration depot typical of depots established in the second half of the nineteenth century to welcome indentured labourers. 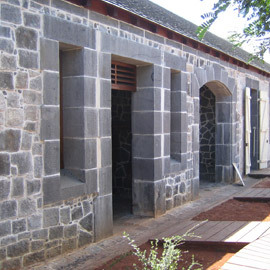 Most Mauritians trace the arrival of their forbears from this site, which welcomed over half a million immigrants between 1834 and the 1920s. It holds immense symbolical value for Mauritians and the official commemoration of the arrival of indentured labourers is held at this site every 2nd of November.The indenture system became the seat of the 'Great Experiment' whereby the British would try to show the world that the labour of free men and women rather than slave labour would be more effective. Because the experiment proved to be successful in British terms, it was replicated in other British colonies as well as in French, Dutch and Spanish colonies. 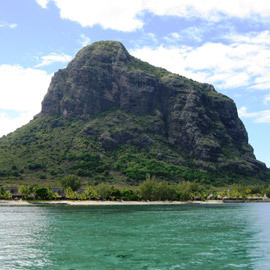 Le Morne is also a symbol of resistance to slavery and has become a focal point for commemorating the Abolition of slavery in Mauritius. The mountain and its surrounding landscape hold a sacredness that is ardently venerated not only by some slave descendant communities, but also by many other stakeholders, who cherish the relatively unspoiled landscape and the powerful aura that the mountain exudes. 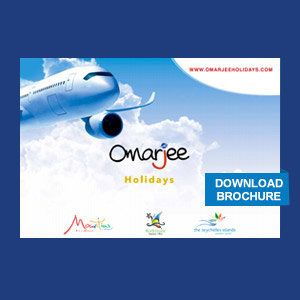 Le Morne is today a rallying point for Mauritians from all walks of life who are deeply concerned about the country's heritage in terms of its history, its culture as well as the natural environment that is becoming an increasingly rare and valuable commodity. It has thus become an emblem of national consciousness in terms of history, memory and identity.